My open studio is this weekend! 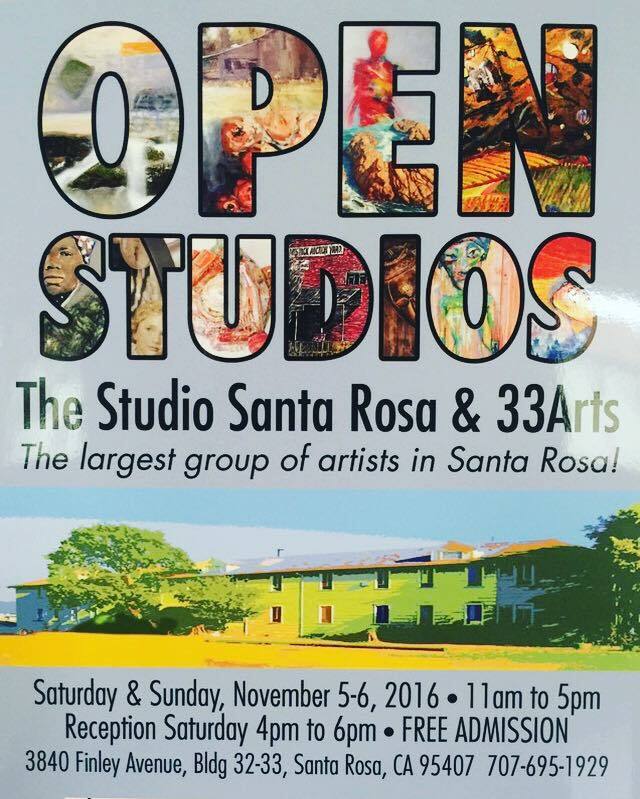 In fact, it's a building-wide open studio for both Studio Santa Rosa and 33Arts here on the southwest side of Santa Rosa. If you have wanted to come visit me, this is a great opportunity to do so, as I will have everything out to see, and will have new paintings to show. I will also have prints and other goodies for sale, so it's worth a visit if you can swing by. I'm in room #215, but as long as you make it here, it should be easy to find.